I love living here. Brand new apartments, big windows, friendly community and so close to everything I need! Plus lots of amenities: Gym, pool, jacuzzi, roof top deck, business center, and several other gathering spaces - inside and out. I adore my new apartment! Aside from moving into a larger unit inside this same community, or buying a house, I don’t think I could do much better in LA. Location is the best in Glendale with a high walkability factor. The staff is friendly. The amenities are top notch. The apartment is clean and modern with plenty of space and storage. I am very pleased and have no complaints so far. Great place great experience. Very good amenities and Neighborhood. Clean, and safe. The harrison had been a great experience for the past last year i have been living here. It's been a great experience! Amazing location! Management is very helpful and they are always quick to respond. The facilities are always clean. Love everything about this community. The only things that I wish we had more of are community events and maybe a coffee type machine in the lounge area and a printer for the business center. Great building! Very well kept and quiet. Apartment layouts are functional and I always feel safe. The gym is top notch and location to neighborhood shopping is all in walking distance. Love the new apartment and amenities. All residents are respectful of noise and parking spaces. The management team are amazing and kind. So far living here is great. See my feedback about light bulbs not working at different areas as well as about the hot tub water being too chloric. Overall it's a good experience but in some areas it could definitely be better. Also the flooding at parking lot because of rain has happened multiple times and my car got some coating damage because of the dirty water with a mix of concrete dust pouring from the ceiling. It got hard like a concrete or limestone and was very hard to remove. Overall it's been a good experience living at the Harrison. It's a brand new building with lots of great amenities, convenient location near the Americana, and Glendale is lovely. The ceiling/floor is very thin, I can hear the upstairs people stomping, slamming, moving things in the middle of the night. It's very loud and disruptive to my sleep. Talin was on top of everything. Making sure that I had a smooth move in at the Harrison. The amenities are great. I am looking forward to the year. La estadia en el Harrison es muy buena. Todo funciona a la perfeccion y es muy tranquilo. Estaria bien si se logra algo mas logico para los parking de invitados. WoW,my feedback,what’s is it?I reallyyyyyy like this,apartment community is sooooooo cool,i am exited, unexpectedly,I should be join it,let’s start. I have been so impressed with all that The Harrison offers its residents in terms of amenities, security especially, peaceful living, support from the staff, and convenience. I’m so pleased to be a resident of The Harrison. The community is in a great area and close to everything. The only thing is that the arking is little flooded when it’s raining, but I hope it’s going to be fixed soon. Love living here! The staff is so friendly and the amenities are amazing! Plus Glendale is centrally locates to a bunch of attractions so, renewing my lease is a no brainer. Living at the Harrison has been great. Lots of amenities and friendly neighbors. Living next to Downtown Glendale is a major plus, we walk to restaurants, shopping, nightlife, etc. Love it. I have been a resident for about 6 months. The place is kept up very well and leasing and maintenance team are great and responsive. Overall a great location and great place. We love the location, and the apartment size, brightness, all the appliance, the wide hallways, nice public areas. Also some shortcomings: no way to let guest in without going downstairs, narrow key operated entrance door. I picked the Harrison for it's location to my work and the thought of it being a brand new building was appealing. Now that I am here a few months, I can say that I am really happy with the property management, the location and the way they keep the place clean and maintained. It’s been great living at the Harrison. Clean and friendly staff! All areas that I have seen have been maintained and well kept. The leasing office has been helpful every time. Great building and amenities but priced a bit high, also overcharging for trash and utility admin fees. also there shouldn't be a curfew for the pool. I have had nothing but the best experience living at the Harrison. The entire leasing staff and Harrison staff are very friendly and go above and beyond for the residents. The location of the complex has great access to amazing shopping and just minutes away from downtown Los Angeles, Hollywood, and Pasadena. The amenities are top of the line and I am beyond happy about my move to the Harrison. 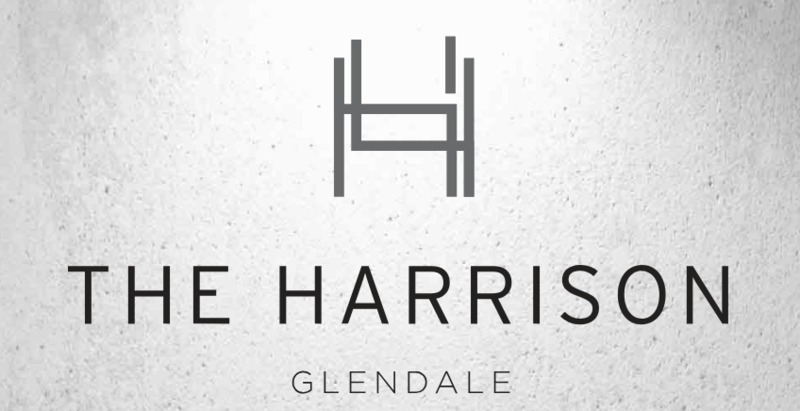 The one thing I can say about living at The Harrison (at 308 W Wilson Avenue, Glendale, California, 91203) is that it's a great place to live.